Make a 1920s style statement with these Art Deco pearl drop clip on earrings - perfect to dress up a LBD or chic black sweater! We are in love with the elegance of our bold 1920s Statement of Deco Clip On Earrings. 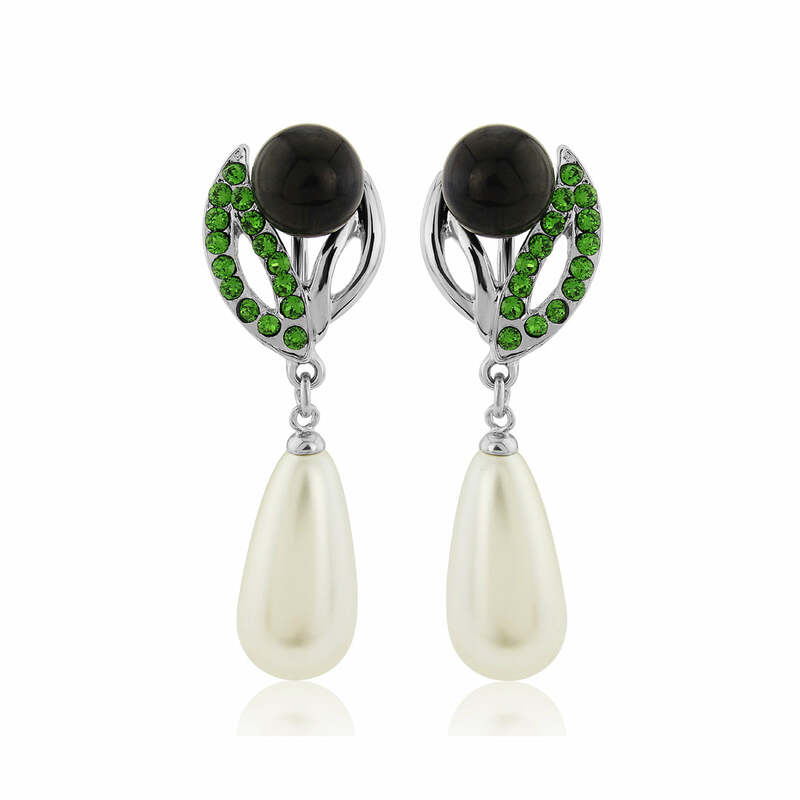 Full of beauty with a touch of Art Deco drama they feature a jet black crystal held within a silver tone leaf design set with striking green petite crystals leading to a light ivory pearl droplet. A real crowd pleaser, these stunning drops will attract plenty of attention. Perfect to dress up a little black dress for lunch or add timeless glamour to a slinky black ball gown they will shimmer with iconic elegance. If you have chosen a Gatsy wedding theme for your special day our Statement of Deco Clip On Earrings will bring a touch of elegant panache to your bridal outfit. Wear with a 1920s crystal and pearl headpiece and your Deco style will be complete.